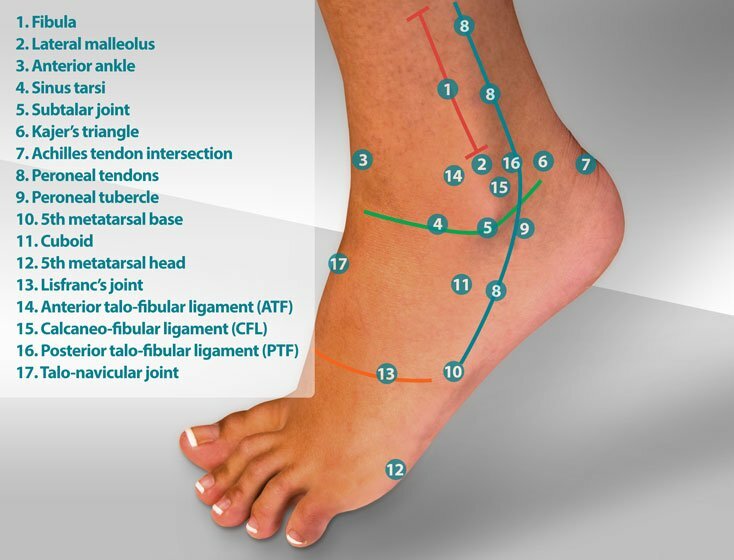 The AirHeel is a unique brace for heel pain that eases the symptoms of plantar fasciitis, Achilles tendinitis, and Sever's Disease with pulsating compression while you walk. Universal right/left. By AirCast. 1/pkg. 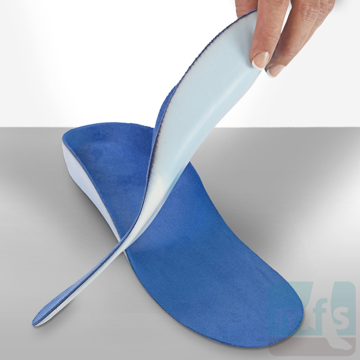 Comfo-Arch Insoles are firm, orthopedic shoe inserts designed with a heel cup for foot comfort. 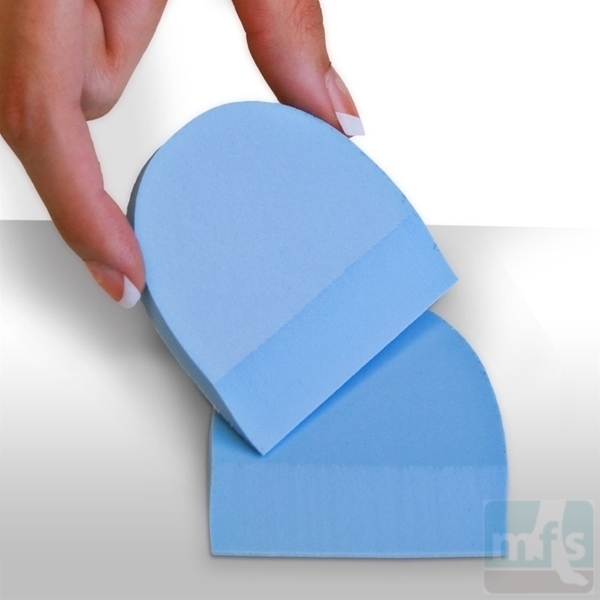 Easily trim with scissors for a perfect fit. 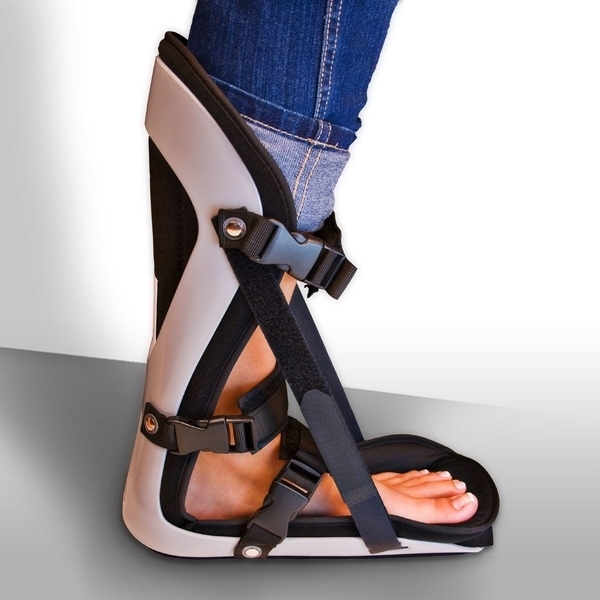 A great orthotic for runners. Five sizes to choose from. By Myfootshop.com. 1 pair/pkg. 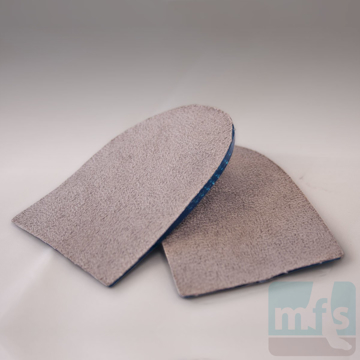 Comfo-High Arch Insoles are firm orthotic support inserts for high arches designed for maximum control of pronation and supination while providing superior comfort and balance. Great for runners. By Myfootshop.com. 1 pair/pkg. 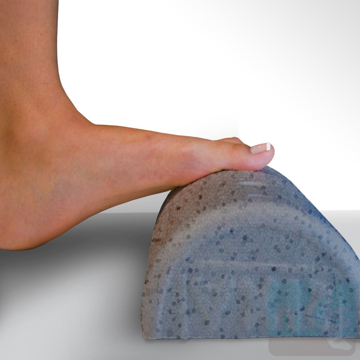 Gel Heel Cushions are soft, reusable, adhesive pads offering shock absorption and pressure relief for heel pain caused by heel spurs, fat pad atrophy, and plantar fasciitis. 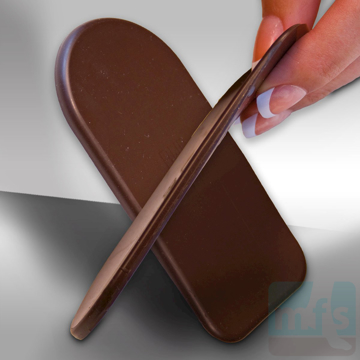 Easily trim to fit all shoes. Two sizes. By Myfootshop.com. 1 pair/pkg. 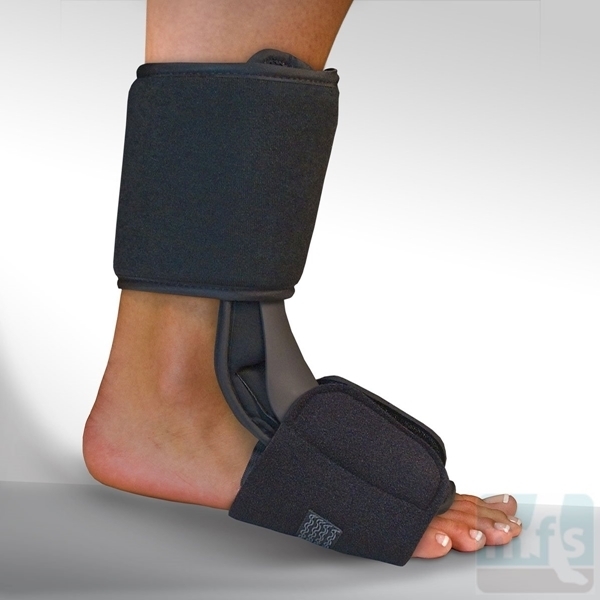 Heel Cups - PQ Gel cushion and lift heels to relieve pain from heel spurs, plantar fasciitis, and Sever's Disease with thick, shock-absorbing visco gel. Fits in most shoes. By Riecken's Orthotic Lab. 1 pair/pkg. 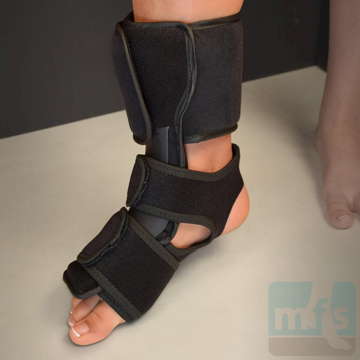 The Medi-Heel Lift is an extra-firm shoe wedge designed to correct leg length discrepancies that often cause hip and lower back pain. Fits easily in most shoes. By Myfootshop.com. 2/pkg. 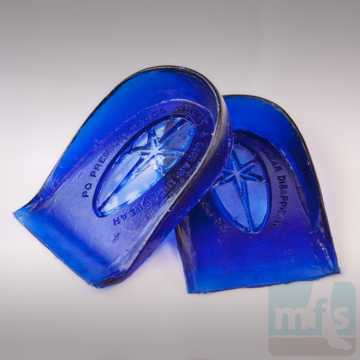 The Plantar Fasciitis Reliever is a unique, silicone gel heel cup with built-in, removable bars of varying firmness that massage the tissues of the heel, relieving heel pain while you walk. By OPPO Medical. 1 pair/pkg. 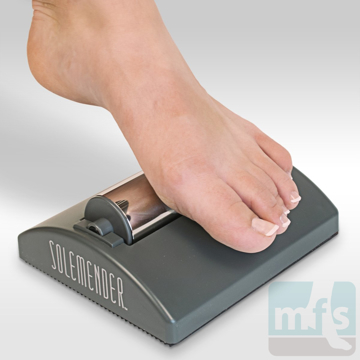 Roll your foot pain away with the SOLEMENDER®, a unique cryotherapy (cold therapy) and foot massage device used to treat plantar fasciitis and plantar foot pain. From SOLEMENDER®. The Achilles Heel Pad is a comfortable slip-on sleeve offering built-in gel protection from heel friction, gentle compression, and pressure reduction around sore areas. Universal right/left. By Myfootshop.com. 1/pkg. 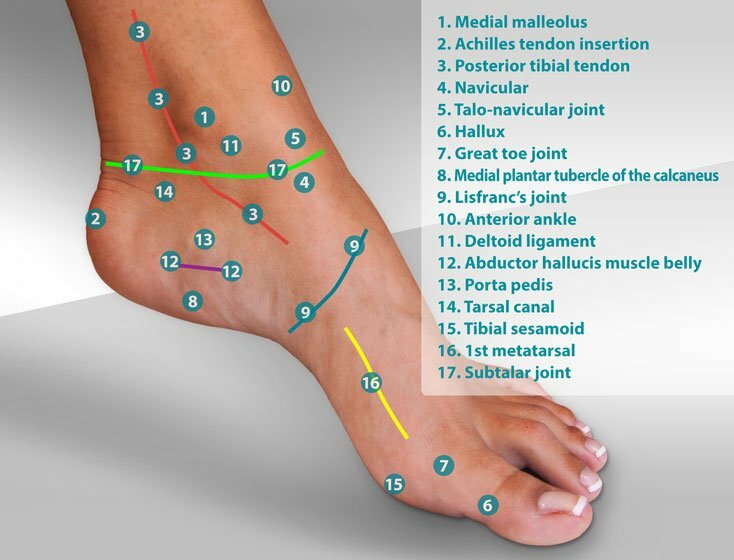 The Adjust-a-Heel Lift offers firm, adjustable pain relief for plantar fasciitis, Achilles tendinitis, and leg length discrepancy. Simply peel away for your desired height. Universal right/left. By Myfootshop.com. 1 lift/pkg. 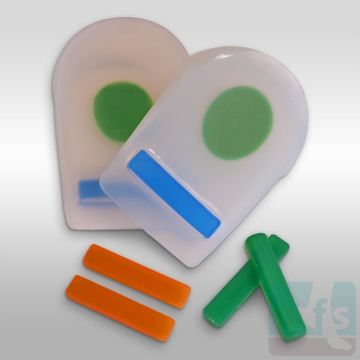 Our Calf Wedge Stretching Block is a simple foam device that makes stretching tight calf muscles a cinch. 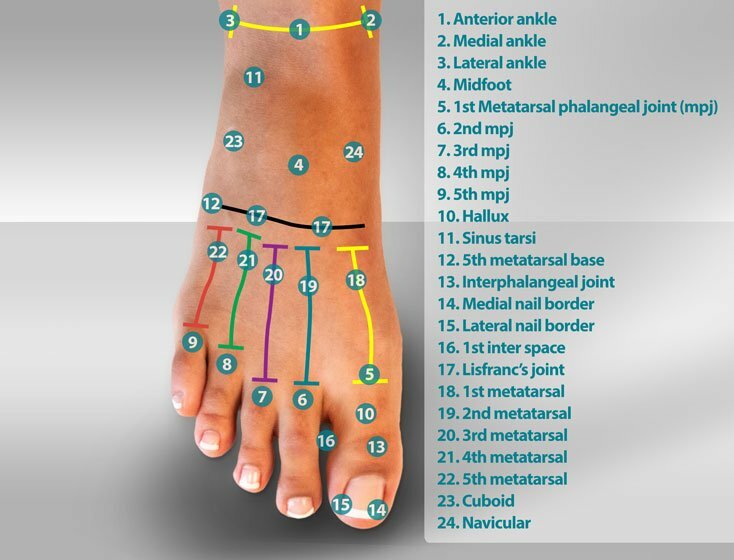 Used to treat plantar fasciitis and Achilles tendonitis. Proper calf stretching instructions included. By Myfootshop.com. 1/pkg. 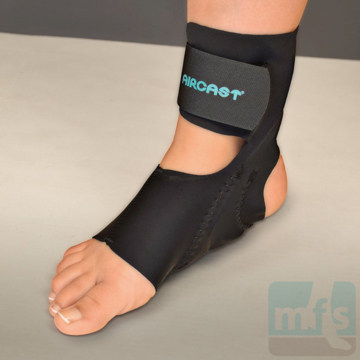 The Dorsal Night Splint for Plantar Fasciitis is soft, durable, and designed to treat plantar fasciitis and Achilles Tendinitis by stretching tight calf muscles while you sleep. Universal right/left. By Myfootshop.com. 1/pkg.